Our collaborators work in heterogeneous environments and have learned to quickly assimilate the expectations of their interlocutors. Solution B.I has the ability to take charge of very business-oriented applications. Our consultants, possessing both technical and business competencies, are your unique contacts for all your data issues. In this context, we are able to offer you application maintenance services on Business Intelligence solutions. We work in your facilities and also provide a global offer in our 4 offices. 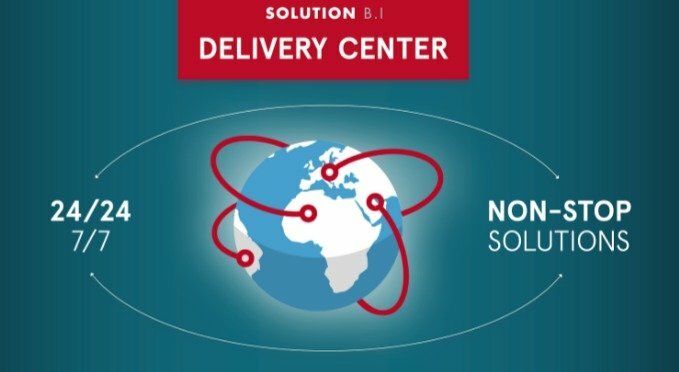 Solution B.I’s international presence allows us to cover all time zones and to offer you 24-hour service and permanent support for your applications. This 24/7 service offering enables you to meet the requirements of international clients, but also to work with piece of mind: our teams adapt to your constraints and assist you during ideal time slots. Different levels of support and services are possible (level 1, level 2, level 3,infrastructure support as well). Solution B.I manages your projects and media in governance and package mode, and also proposes the rental of services in order to meet your requirements. Application of time management to projects.